A truly personal, unique memento for your special day. A beautiful keepsake and a great alternative to a traditional guest book. Be different! Unframed. 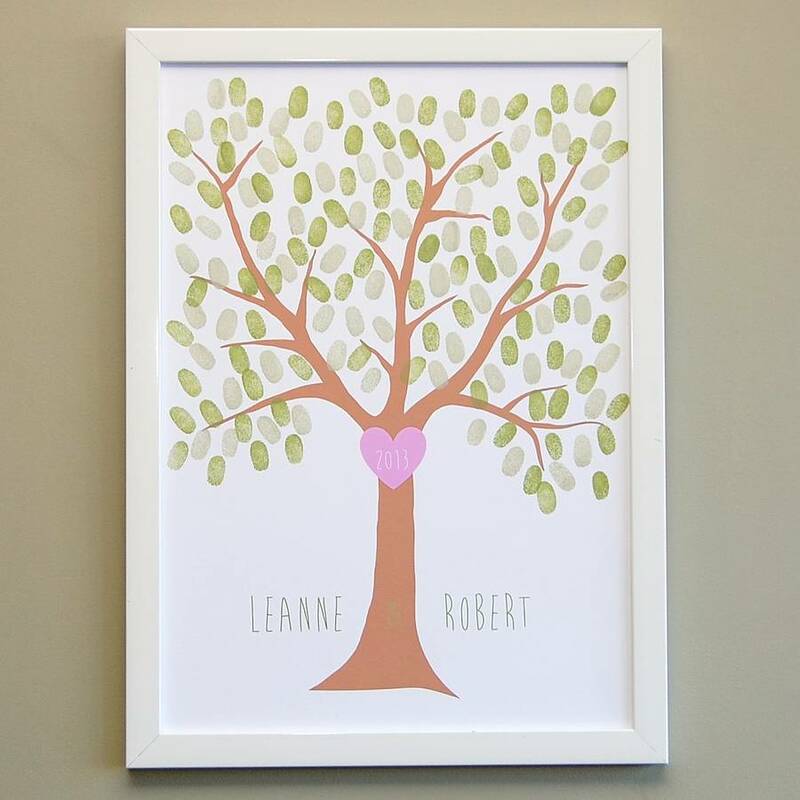 You choose the personalisation and then your family and friends fill the branches with their fingerprints - watch it blossom as they leaf' their thumbprint onto its branches. 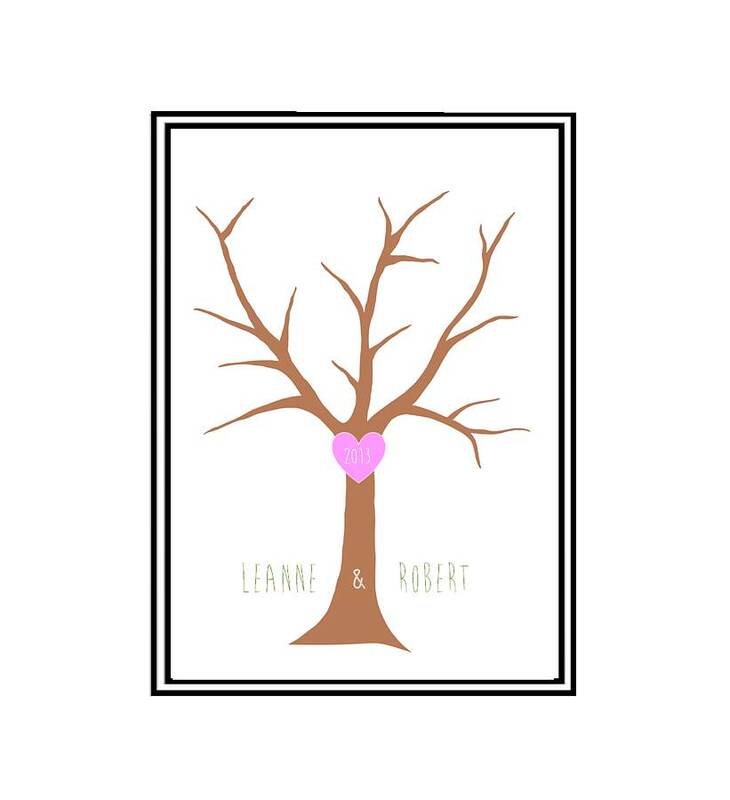 Included is: your personalised, blank tree print which as is provided UNFRAMED, two ink pads, a free standing instructional sign to guide your guests, a 'test your thumbprint here' page. Personalise with your names on either side of the tree trunk and choose a date (ie 26/01/2013) or year (ie 2013) for the heart. Please be aware that this poster uses capital letters only and a white ampersand '&' in the middle of the tree trunk. 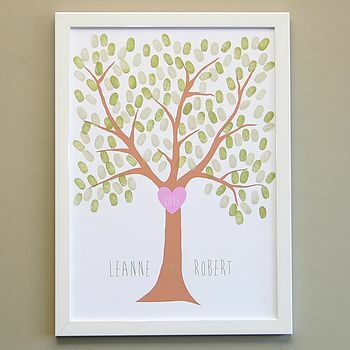 As an A3 print, this tree poster can hold up to 140 finger prints. The print is made from high quality white paper and is printed in the UK. The ink pads are made with chalk ink and are acid free. We do advise that the poster is framed prior to using (with the glass removed) and a pack of baby wipes is always appreciated by guests - the ink is easily removed with these. The print measures 42x29.5cm (A3). This product is dispatched to you by Love Those Prints.